instrument used in laboratories and pharmacies to measure the mass or weight of a body. A balance functions by measuring the force of gravity that the earth exerts on an object, i.e., its weight. Since the mass of an object is directly proportional to its weight, a balance can also be used to measure mass. 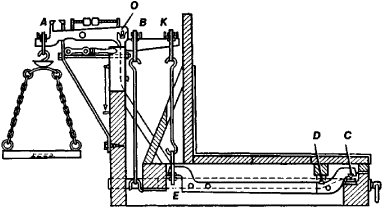 simple machine consisting of a bar supported at some stationary point along its length and used to overcome resistance at a second point by application of force at a third point. The stationary point of a lever is known as its fulcrum. ..... Click the link for more information. . A uniform bar, the beam, is suspended at its exact center on a knife-edge set at right angles to it. The point of support is called the fulcrum. Two pans of equal weight are suspended from the beam, one at each end, at points equidistant from the fulcrum. Since the center of gravity of a uniform bar is at its midpoint, the beam supporting the pans will be in equilibrium, i.e., will balance on the knife-edge. A long pointer attached at right angles to the beam at the fulcrum indicates zero on a scale when the beam is at rest parallel to a level surface. It shows also the extent of swing of the beam on one side or the other, acting somewhat as a pendulum, when the beam is coming to rest. The object to be weighed is placed on one pan, and standard weights are added to the other until the balance of the beam is established again. The unknown weight can then be determined by adding up the standard weights in the pan. instrument used to measure small forces. It is based on the principle that a wire or thread resists twisting with a force that is proportional to the stress. ..... Click the link for more information. , which depends on the twisting of a wire or thread, is employed for weighing, but the term is commonly used to indicate a device for measuring minute electrical and magnetic forces. in weights and measures, instruments for determining weight, generally for other than laboratory use. For the principles of operation of all weighing devices, see balance. A harmonizing or satisfying arrangement, or proportion of various parts, as in a design or composition; the state of equipoise between different architectural elements. 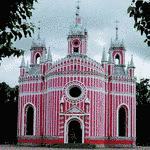 Designs that are almost always characterized by symmetrical elements. Designs where the forms are mostly asymmetrical. (scales), an instrument for determining the weight of an object by the gravitational force acting upon it. Instruments for measuring other physical quantities, which are converted for this purpose to forces or force moments are sometimes called balances—for example, the electrodynamic balance and Coulomb’s balance. The balance is one of the oldest of instruments. It originated and was perfected in connection with the development of trade, manufacturing, and science. The simplest balance, in the form of an equal-armed beam with suspended pans, was widely used in barter in ancient Babylon (2500 B.C.) and Egypt (2000 B.C.). The unequal-armed balance with a movable weight appeared somewhat later. As early as the fourth century B.C., Aristotle stated the theory of such balances (the rule of force moments). In the 12th century the Arab scholar Alhazen described a balance with scale pans whose error did not exceed 0.1 percent. It was used for determining the density of various substances, which made it possible to recognize alloys, expose counterfeit coins, distinguish precious stones from imitation stones, and so on. In 1586, Galileo constructed a special hydrostatic balance for determining the density of bodies. The general theory of the balance was developed by L. Euler in 1747. Figure 1. Diagram of a decimal balance of the Quintenz system: AOK is a lever of the first order and EDC is a lever of the second order. The weights equilibrate a tenfold load under the following condition: OA: OB=10:1; CE:CD=OK:OB. Balances are classified according to purpose as standard balances (for checking balance weights), laboratory balances (including analytical balances), and general-purpose balances (used in various fields of science, technology, and the national economy). According to principle of operation, balances are divided into beam, spring, electrotensometric, hydrostatic, and hydraulic. where P0 is the weight of the beam and its pointer, c is the distance between the beam’s center of gravity and the axis of its rotation, l is the length of the beam arm, g is free-fall acceleration, and k is a coefficient that is a function only of the resolving power of the reading device. The value of the division, and consequently the sensitivity of the balance as well, may be changed within definite limits (usually by moving a special small weight that changes the distance c). In a number of laboratory beam balances a portion of the measured load is compensated by the force of electromagnetic interaction—by the attraction toward an immovable solenoid of an iron core connected to the arm of the beam. The strength of the current in the solenoid is regulated by an electronic device that brings the balance to equilibrium. By measuring the strength of the current, the load—which is proportional to it—can be determined. A similar type of balance is automatically brought to a position of equilibrium and is therefore generally used for measuring changing mass (for example, in research on processes of oxidation and condensation) when it is inconvenient or impossible to use an ordinary balance. The center of gravity of the beam in these balances coincides with the axis of rotation. Balances, especially analytical balances, with built-in weights on a part of the load or on the whole load are coming into wider use in laboratory practice. The principle of operation of such balances was proposed by D. I. Mendeleev. Specially formed balance weights are suspended from the arm that has the balance pan (one-armed balance) or, less frequently, from the opposite arm. In one-armed balances (Figure 2), error caused by the inequality of the beam arms is completely eliminated. Figure 2. 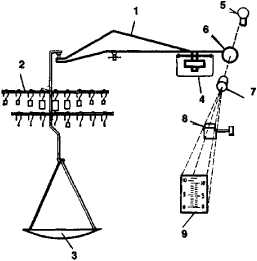 Diagram of a one-armed analytic balance: (1) beam, (2) built-in weights, (3) balance pan, (4) counterweight and damper, (5) light source, (6) projection scale, (7) lens, (8) device for zero correction, (9) screen. Modern laboratory balances (analytical and other types) are equipped with a number of devices to increase the precision and speed of weighing—pneumatic or magnetic pan oscillation dampers, doors whose opening causes almost no air currents, heat shields, mechanisms for applying and removing the built-in balance weights, and automatic mechanisms for selection of built-in weights when equilibrating the balance. Projection scales that permit widening the range of measurements on the reading scale with small angles of deviation of the beam are used more and more frequently. All this makes it possible to significantly increase the speed of operation of the balance while preserving its precision. In high-speed technical quadrant balances (Figure 3) the limit of measurements on the scale of the deviation of the beam is 50-100 percent of the maximum load of the balance (usually between 20 g and 10 kg). This is achieved by special construction of a heavy beam (quadrant) whose center of gravity is considerably lower than its axis of rotation. Figure 3. Quadrant balance with projection scale: (1) balance pan, (2) counterweight-quadrant, (3) lever whose angle of deviation is measured on the projection scale (4), through which a light beam (5) passes, which projects the image of the scale on the screen (6). Most types of metrological, standard, analytical, technical, mercantile, medical, wagon, and automobile balances—and also most automatic and portion balances—are built according to the principle of the beam balance. The basis for the operation of spring and electrotensometric balances is Hooke’s law. The sensitive element of the spring balance is a flat or cylindrical spiral spring that is deformed under the action of the weight of the body. The readings of the balance are shown on the scale, along which an indicator that is connected to the spring moves. It is assumed that the indicator will return to zero position after the load is removed; no residual deformation of the spring will occur because of the load. Weight, rather than mass, is measured by the spring balance; however, in the majority of cases, the scale of the spring balance is graduated in units of mass. Since free-fall acceleration is a function of geographic latitude and altitude above sea level, the readings of the spring balance depend on its location. Moreover, the elastic properties of the spring depend on temperature and change with time; all this decreases the accuracy of spring balances. In the torsion balance an elastic filament or spiral springs serve as the sensitive element. The load is determined by the angle of twist of the spring filament, which is proportional to the torsion moment produced by the load. The operation of the electrotensometric balance is based on the conversion of the deformation of the resilient elements (columns, plates, or rings), which sense the force effects of the load, into a change in electrical resistance. Highly sensitive wire tensometers attached to the resilient elements serve as converters. As a rule, electrotensometric balances (wagon, automobile, crane, and other types) are used for weighing large loads. Hydrostatic balances are used mainly to determine the densities of solid bodies and fluids. Their operation is based on Archimedes’ principle. 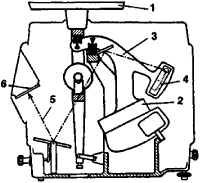 The hydraulic balance is analogous in arrangement to the hydraulic press. The results are read on a manometer graduated in units of mass. All types of balances are characterized by (1) maximum load—the heaviest static load that they can tolerate without disruption of their metrological characteristics; (2) value of a scale division—the mass that corresponds to a change of one scale division in the reading; (3) maximum permissible error in weighing—the largest permissible difference between the result of one weighing and the actual weight of the weighed object; and (4) permissible reading variation—the greatest permissible difference in the readings of repeated weighings of the same body. The weighing errors with maximum load of several types of balances are shown in Table 1. Rudo, N. M. Vesy: Teoriia, ustroistvo, regulirovka i poverka. Moscow-Leningrad, 1957. Malikov, L. M., and N. A. Smirnova. “Analiticheskie elektricheskie vesy.” In Entsiklopediia izmerenii kontrolia i avtomatizatsii, issue 1. Moscow-Leningrad, 1962. Orlov, S. P., and Avdeev, B. A. Vesovoe oborudovanie predpriiatii. Moscow, 1962. Karpin, E. B. Raschet i konstruirovanie vesoizmeritel’nykh mekhanizmov i dozatorov. Moscow, 1963. Gauzner, S. I., S. S. Mikhailovskii, and V. V. Orlov. Registriruiushchie ustroistva v avtomaticheskikh protsessakh vzveshivaniia. Moscow, 1966. (1) In bookkeeping, the difference between the totals for the debit and credit entries of an account. A debit balance, in which debits exceed credits, reflects the state of the given type of economic asset as of a certain date and is shown in the assets of the balance sheet. A credit balance, in which credits exceed debits, reflects the state of the sources of economic assets and is shown in the liabilities. The account is said to be closed if there is no balance. (2) In foreign trade relations, the balance is the difference between the totals for exports and imports or between the totals for demands and obligations. An excess of exports over imports produces a positive foreign trade balance, whereas an excess of imports over exports produces a negative balance. In the balance of payments, a positive balance indicates that a country’s total receipts from other countries exceed the country’s payments to other countries. In a negative balance of payments, a country’s payments to other countries exceed a country’s receipts from other countries. The condition in a stereo system wherein both speakers produce the same average sound levels. The equilibrium attained by an aircraft, rocket, or the like when forces and moments are acting upon it so as to produce steady flight, especially without rotation about its axes. The equilibrium about any specified axis that counterbalances something, especially on an aircraft control surface, such as a weight installed forward of the hinge axis to counterbalance the surface aft of the hinge axis. To bring a chemical equation into balance so that reaction substances and reaction products obey the laws of conservation of mass and charge. The state of an electrical network when it is adjusted so that voltage in one branch induces or causes no current in another branch. An instrument for measuring mass or weight. The counterpoise or weight attached by cable to the drum of a winding engine to balance the weight of the cage and hoisting cable and thus assist the engine in lifting the load out of the shaft. Using the correspondence between a routing policy and a sequence on the alphabet A, these p*'s correspond precisely to balanceable rates. The problem that remains to be addressed is to find in which cases, the rate vector p* is balanceable. 19 says that p* is always balanceable and therefore, the optimal routing sequence is given by an associated balanced sequence. In this appendix, we shall give a collection of balanceable set of rates that can be put into two classes. But when it comes to balanceable toolholders, Lyndex definitely has an edge.